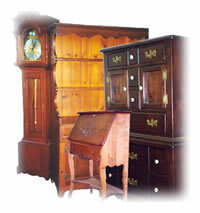 Pak Mail Key West is the area�s leading shipper of antiques and collectibles. We currently pack and ship for many island antique dealers, including Duck & Dolphin, In One Era, Island Antiques, and 90 Miles to Cuba. We offer free pick-up service on the island of Key West. We provide onsite packing and crating for residents and businesses in the Key West area. We offer a choice of transport modes to meet your budget and delivery needs. We offer the lowest shipping rates in Key West for parcel (UPS, FedEx, DHL, USPS), blanket-wrap, and overland, air, & ocean freight based on our franchise network�s buying power.